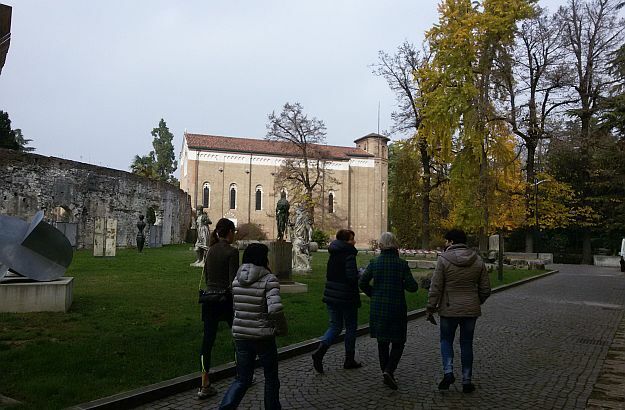 It is a short walk from the ticket office to the Scrovegni Chapel. The chapel’s architecture is both understated and pleasing. Blue… midnight blue, electric blue, royal blue, sky blue… According to public opinions polls conducted in Europe and North America, blue is the most popular colour with both men and women. It is a favourite of mine too. And the shade of blue I like the most is the Giotto blue. You’ve never heard of this shade before? 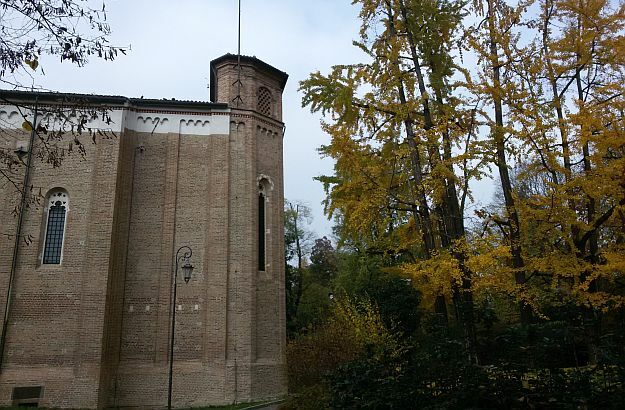 A small church located in Padua, the Scrovegni Chapel – also known as the Arena Church, because of its proximity to a former Roman amphitheater – is home to what experts regard as one of the most important masterpieces of Western art. Yes, nothing less than that! 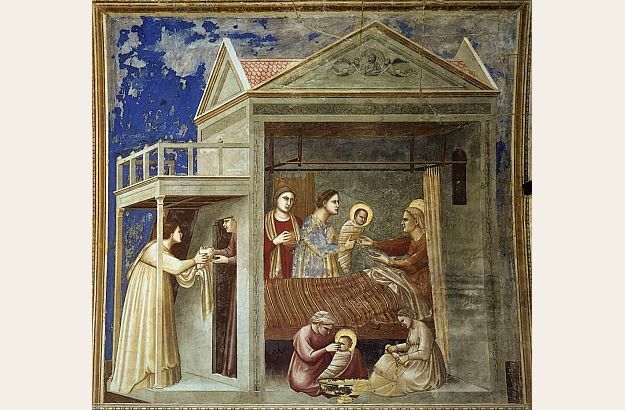 The chef d’oeuvre consists of a series of frescoes commissioned by the local Scrovegni family and painted by the great Giotto di Bondone in the first decade of the 14th century. Adorning the walls and ceiling of the chapel, and laid out both horizontally and vertically, the frescoes brilliantly depict a detailed and poignant narrative of the lives of the Virgin Mary and her son Jesus. Giotto – rightly credited as one of the initiators of the Renaissance – uses colour here in a unique and striking way, shunning the conventional grays and golds of religious imagery in favour of a brighter, more true-to-life palette. Breaking with the stylized and unrealistic Byzantine fashion, he painted faces, garments, landscapes and skies as they appeared: pink, green, brown, yellow, red and blue. 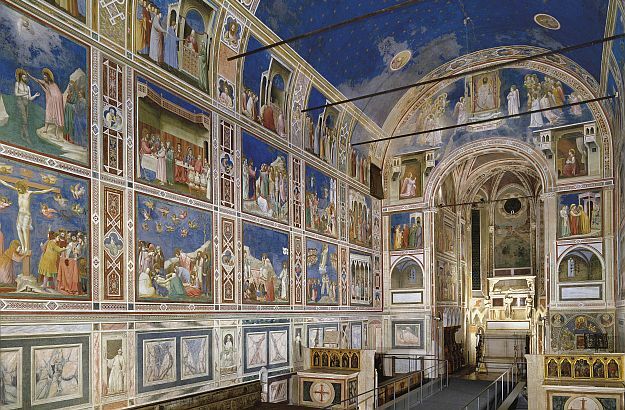 You have to see the blue – the Giotto blue, as I like to call it – which this chapel is filled with. It’s simply mesmerizing. Well, you have to see the whole thing actually. If you are in the area, it is an absolute must. But here is some advice if you want to take full advantage of your visit and avoid bad surprises. 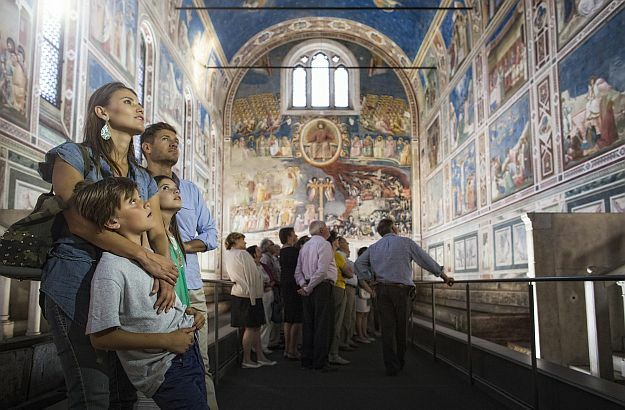 First, keep in mind that only 25 people can visit the chapel’s frescoes at a time, and that tickets are often booked months ahead, especially during the high season. So, make sure you book in advance, online, and well before you undertake your trip to Italy. I recommend you arrive at least half an hour before the time slot you have reserved. Tickets have to be picked up at the ticket office of the City Museum, where a short film will introduce you to the chapel and its painter. Then walk across the square alongside the ancient amphitheatre, and wait in front of the chapel until the entrance door opens for the next 25 visitors. 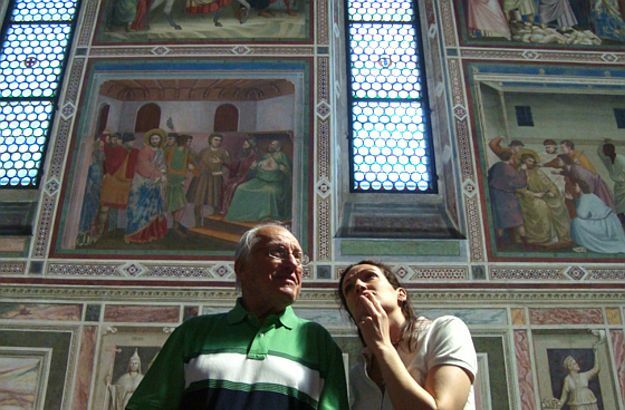 You will not be allowed into the church right away: you will have to wait for about 15 minutes in the waiting area in order to acclimatize to the chapel’s “microclimate”, which is vital for the preservation of the precious frescoes. A film will explain this to you while you wait. Once you have been taken into the chapel, I suggest you walk straight to the end of the nave. Since most visitors first stop and look at the frescoes near the entrance, take advantage of this and pull away from the group. 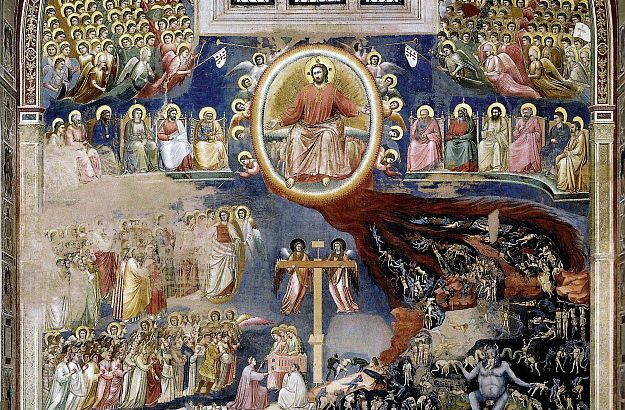 Thus you will be able to leisurely marvel at the “Last Judgment”, a large and beautiful fresco which never fails to fascinate adults and children alike, with all its colours, details and strange creatures – devils, dragons, man-eating monsters… When the group moves closer to you, retrace your steps and contemplate at your own pace the smaller frescoes painted on the side walls. And make sure to let your eyes be filled with that blue!